Diamondback 600Tm Treadmill has unique exclusive features in good price rates like built-in heart rate receiver to help you get the maximum cardio benefits and many more which makes your workouts enjoyable. Dot matrix profile with two different program profiles selection. Easy to select program buttons. ToughTrain 4.5 out of 5 Can be a perfect choice at this price. Have many attractive and motivational features. TreadmillDoctor.com 7.71 out of 10 Arguably, the best Diamondback option and an excellent value. *Note: Most of the sites, stores or shopping portals listed above sell Diamondback 600Tm Treadmill with discounts and other exciting offers. There is a possibility that the some of above websites are not selling Diamondback 600Tm Treadmill now. Toughtrain.com is not liable for such cases or instances. 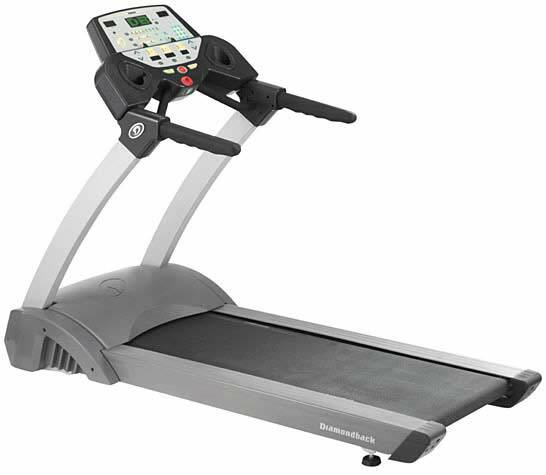 Also we do not recommend any seller for Diamondback 600Tm Treadmill and a buyer should buy from where he/she gets best deal with quality of products, service and on time delivery (shipment).